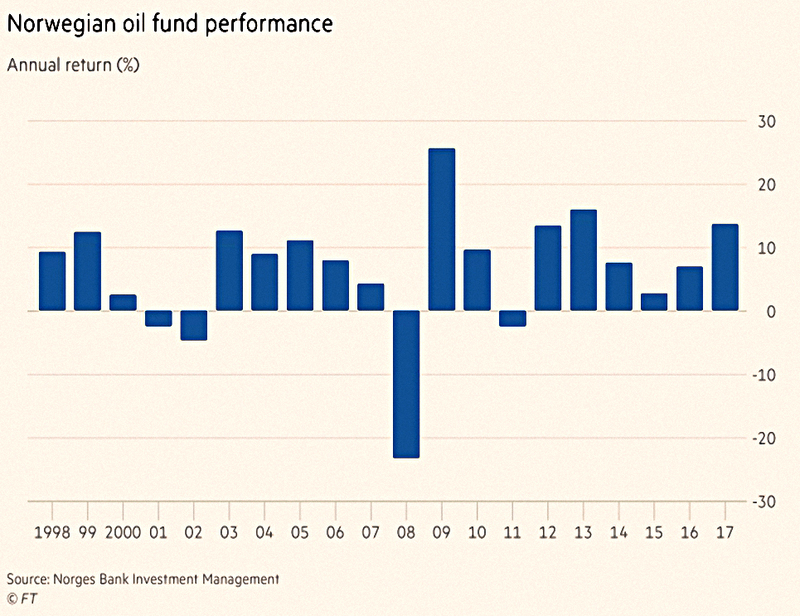 We begin today’s Weekly Roundup in the FT, with an article about the Norwegian Oil Fund. 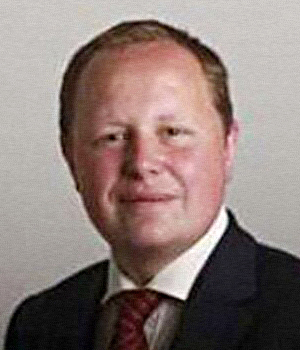 Richard Milne wrote about the worries in Norway that they might have to use their fund more aggressively in the event of a market crash. What a nice problem to have. Here in the UK we frittered our North Sea Oil money away on too much government spending. But a lot of new money came in as oil prices stayed high and the krone weakened against the dollar. So overall the fund increased in size. 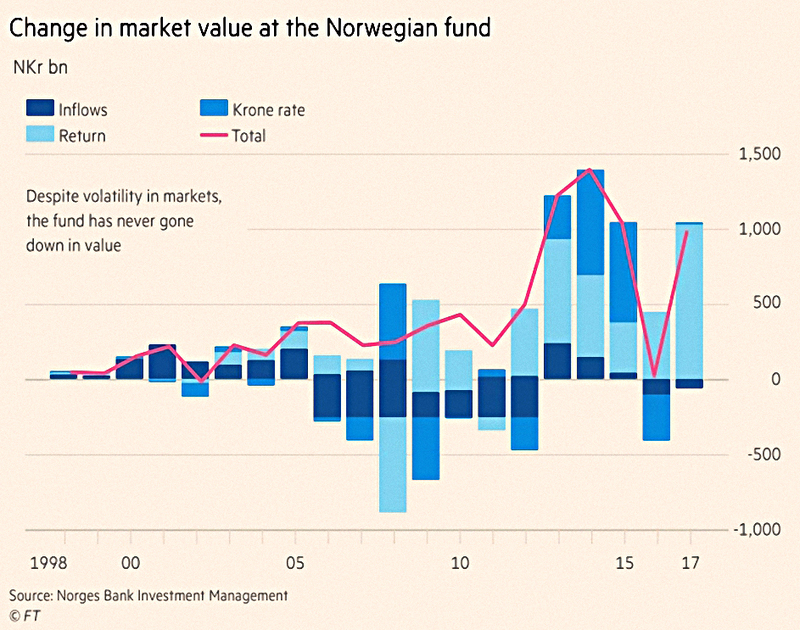 The Norwegians are worried that in the next crash, the fund could lose 40%. This assumes that the krone becomes a safe haven currency and hardens. 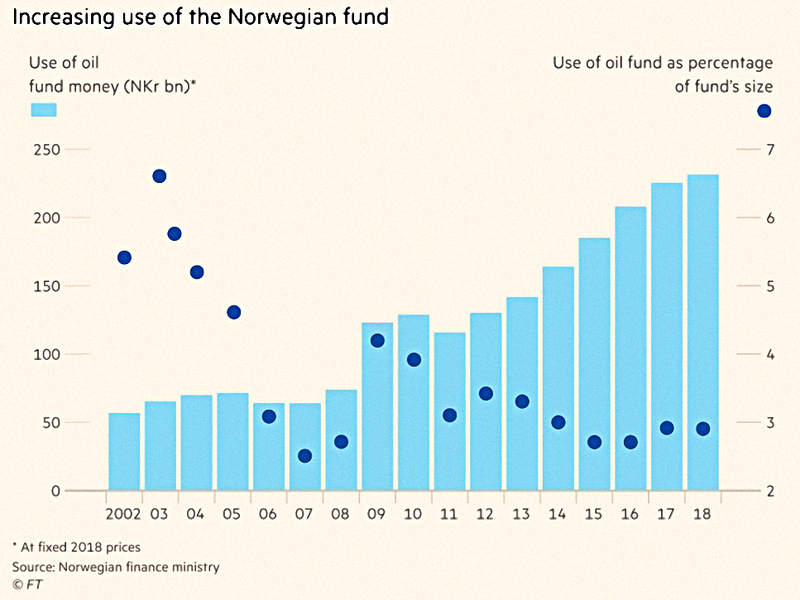 I guess it must also mean that most of the fund’s assets are invested outside of Norway. The fund is being used by the government more and more, but the withdrawal rate is limited to 3%, which sounds fairly safe to me. This year 2.9% (Nkr 231 bn) will be withdrawn. That is 18% of government spending – what a fantastic boost to the country. The worry is that in a crisis, scandinavian thinking would mean that government spending should not be cut. Perhaps 10% of the (shrunken) fund might be needed to balance the budget. This is the classic decumulation in retirement problem. The classic solution is to keep around four years of spending in cash, so that no other assets need to be sold during a crash. With a 2.9% withdrawal rate, this would mean keeping 11.6% of the fund in cash, which might be a little high. The fund is currently worth $1 trn and owns an average of 1.4% of global listed companies. It has quadrupled in size since 2008. And its equity holdings have risen from 47% in 2008 to 70% today. Josephine Cumbo and Oliver Ralph reported on the difficulties faced by financial advisers in obtaining insurance for advising on pension transfers. Since the 2016 reforms, more than 200K transfers out of DB pensions have taken place. All transfers worth more than £30K require advice, and the advisors need indemnity insurance. Indemnity insurers are increasingly less keen to provide it. The pension freedoms are in great danger of being derailed if insurers continue to overreact and withdraw cover for regulated advisers and their clients. I think that Keith is exaggerating. The central freedom from the 2015 reforms was the freedom not to buy an annuity, and that is not under threat. Transfers out of DB schemes are rarely a good idea, unless you are being offered 35 or 40 times the annual payout as a transfer value. Over in the Economist, Buttonwood looked at the university lecturers strike over changes to future pension benefits. People are living longer, but scheme retirement ages have not increased, so paying DB pensions has become more expensive. 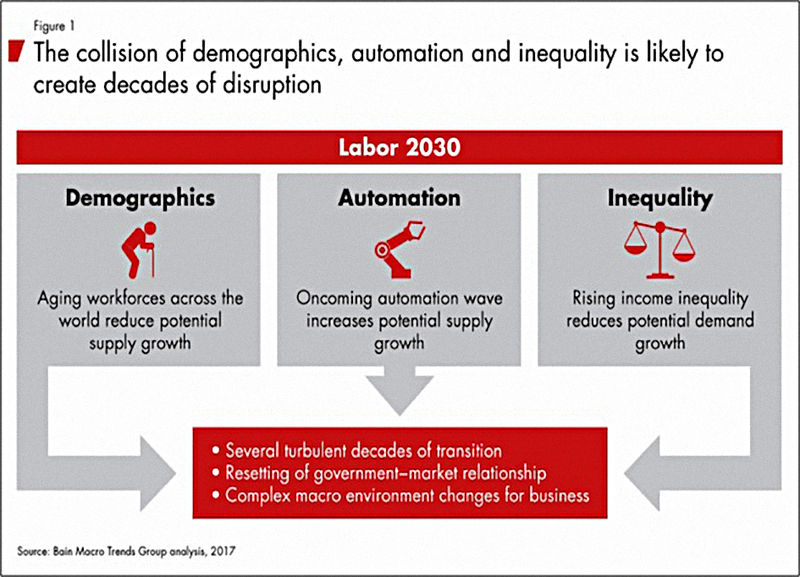 Interest rates and bond yields have fallen, which means that more assets are needed to generate the required income. Note that in the US, pension schemes are allowed to assume a rate of return higher than bond yields, but this has generally led to even more serious underfunding (the rate of return is increased, rather than the contributions). Most private sector employers have switched to less generous DC pensions, where yearly contributions are the only commitment. Investment risk in DC schemes therefore falls on the member (rather than the employer, as in DC schemes). And DC contributions are much lower – an average of 4% of salary, compared to 21% for DB pensions. The universities want to switch to DC (for future entitlements) – hence the strike (even though the universities are offering to contribute 13.25% of salary). Since they are heavily funded by the state, sticking with DB means the investment risk is with the taxpayer. Another article in the newspaper looked at competing measures of UK inequality. 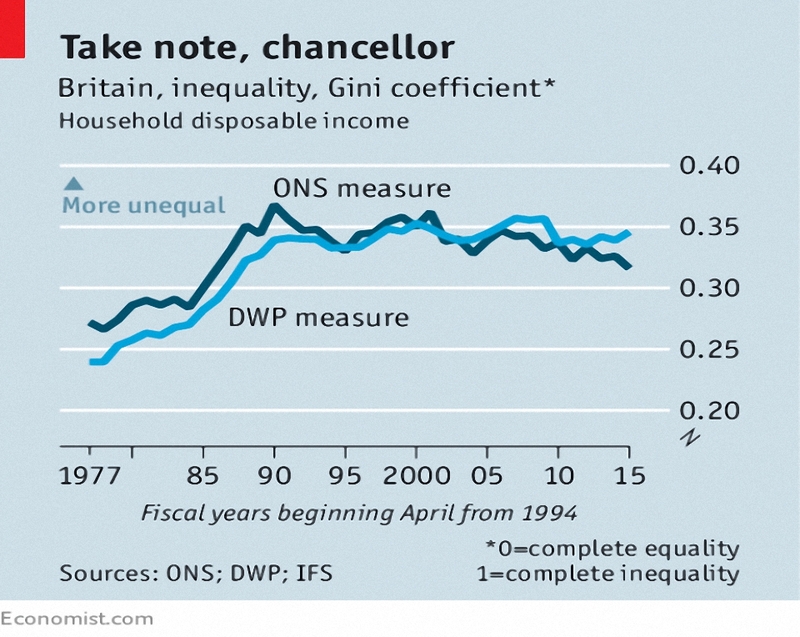 According to the government “inequality has been reduced to its lowest level in 30 years”. That statement is based on ONS figures that use the Gini coefficient for income. The Gini for 2015/16 was 0.32 after tax and welfare. This is higher than the late 1970s, but the lowest since 1986. The problem is that the data comes from a detailed survey of 5,000 households. Surveys are bad at capturing data from the rich, which could have a big effect on the Gini. An alternative measure from the Department for Work and Pensions adds data on the richest that is taken from tax returns. This gives a higher Gini, and more significantly, one that has been rising in recent years. 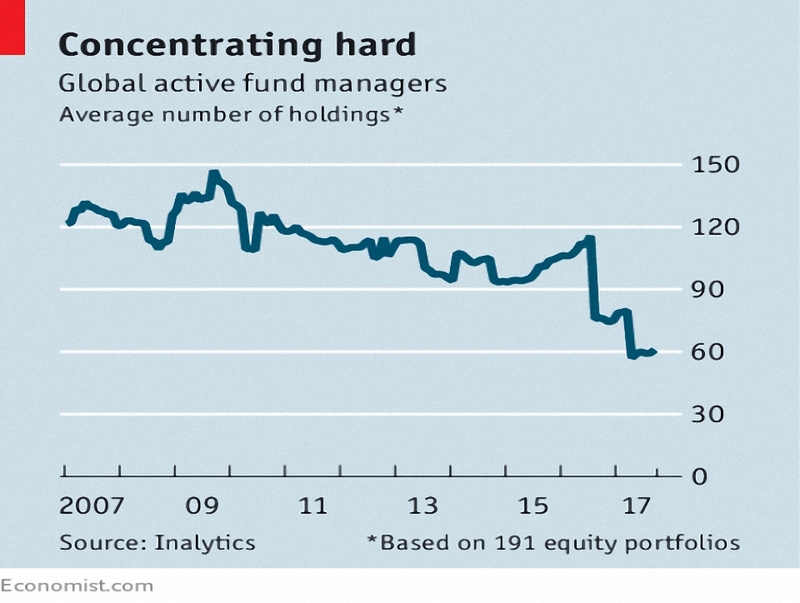 A third Economist article reports that active fund managers are showing greater concentration. That is, they have fewer stocks in their portfolios. The average global equity portfolio has come down from 121 stocks in 2007 to just 61 in 2017. 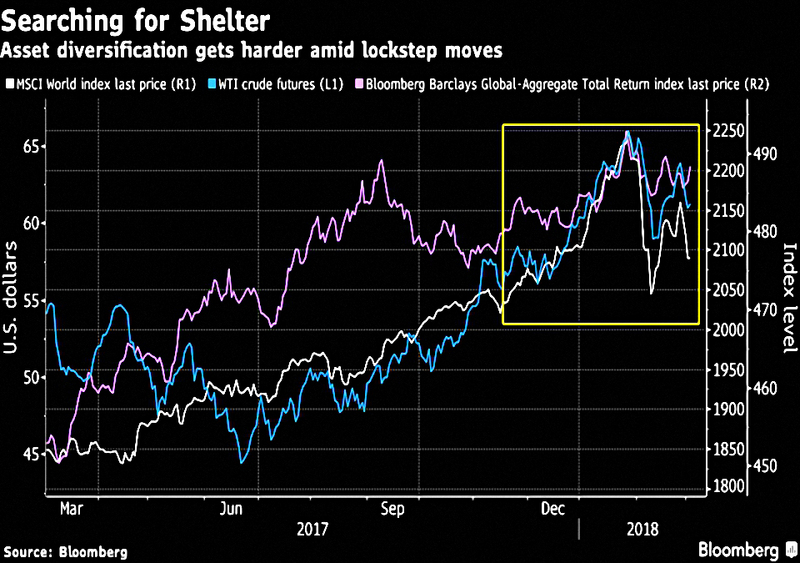 Active managers have been losing market share to cheaper passive index trackers (which might be expected to do well during extended bull markets). Fewer stocks means that active funds are less like the index – instead, they have greater “active share”. Truly active funds have a better chance of beating the index, but also a better chance of underperforming. So on average, there might be no net improvement for the end investor. But it is possible that with a greater variety of returns from individual underlying funds, an investor’s overall portfolio might show lower volatility. In FT Advisor, David Thorpe1 reported that Hargreaves Lansdown was denying that they overcharge investors. 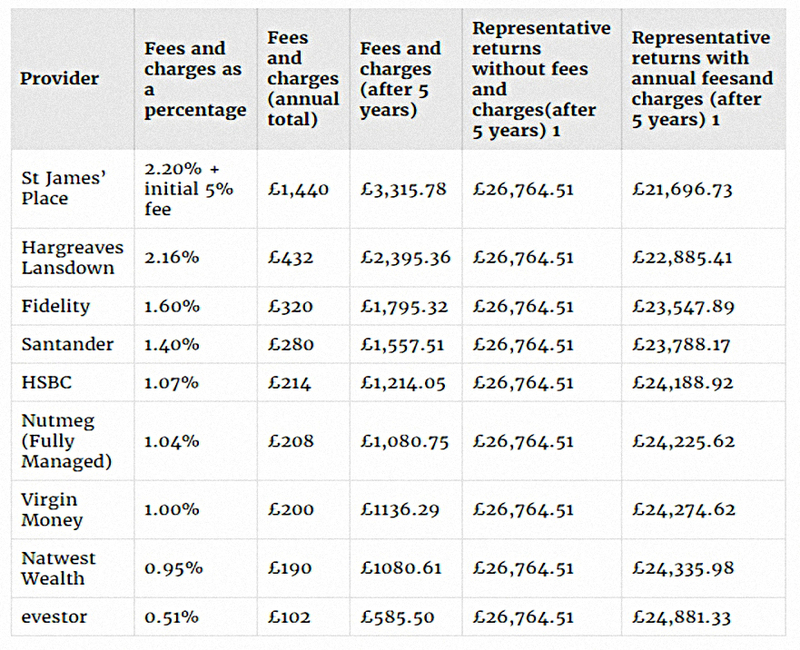 Robo advisor evestor have produced a report comparing charges for stocks and shares ISAs. St James’ Place were most expensive, at 2.2% pa.
HL were second at 2.16% and Fidelity were third at 1.6%. So it’s clear that high charges are no barrier to having a large market share. evestor charges from 0.48% pa for a passive portfolio, and HL objected to this being compared with an active portfolio. 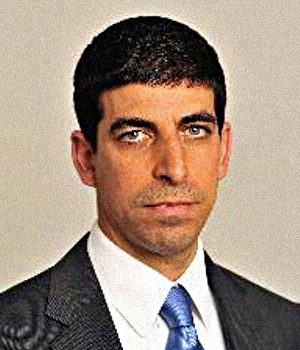 SJP and Fidelity also disputed the study. The high fee platforms have a point technically, but not morally. It’s possible to have a cheap portfolio with HL (and Fidelity), if you use ETFs and investment trusts. But those aren’t the investments that the slick website and glossy monthly mail outs recommend. Nobody should be paying 2% pa, or even 1%. Make sure that you aren’t. Note that DIY (with iWeb, AJ Bell, Vanguard or Fidelity) is even cheaper than evestor. And PensionBee are cheaper for pensions. It appears that Channel 4’s Dispatches programme will be doing a number on the Financial Ombudsman this week. 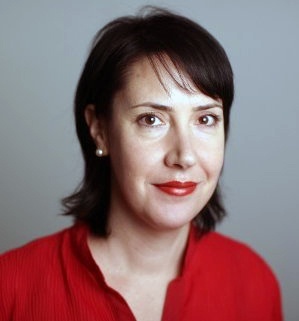 At the time of writing I haven’t seen a tape, but Ros Altmann has, and she posted a comment on her website Pensions and Savings. Such practices are all detrimental to consumers and suggest insufficient care and concern for the stress and distress many people suffer at the hands of financial firms. Customers who complain often spend huge amounts of time putting together their cases and would be horrified to learn that their efforts can be dismissed by someone who either does not have time to read it all, or does not even understand the products they are complaining about. It doesn’t sound great, which is a shame because the Ombudsman should be an important part of the financial system. The next shows the pensions value chain in the UK. The many horizontal divisions explain why pensions are so much more expensive than they need to be in the UK. 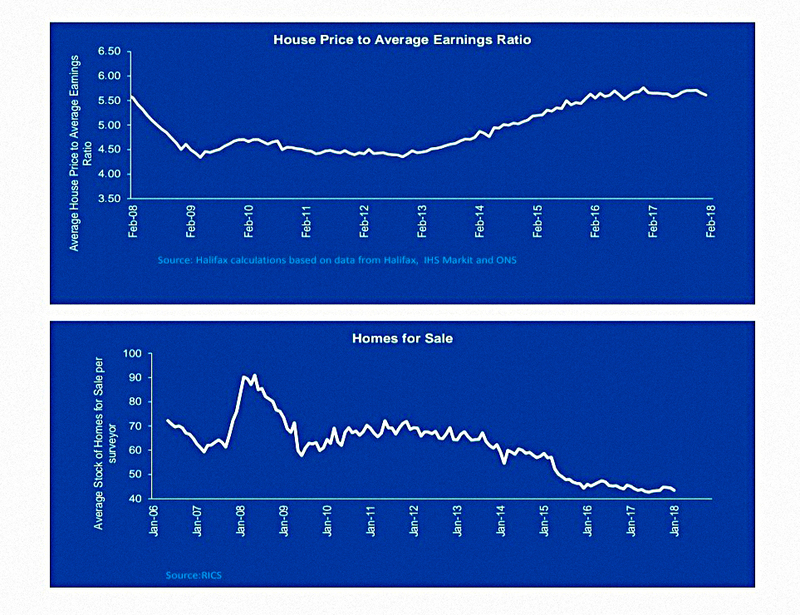 This one shows that the UK housing market is starting to lock up. This happens when prices are unaffordable and existing owners are unwilling to sell for what they will be offered. I wonder whether the much higher proportion of buy-to-let owners (who might care less than owner-occupiers) will make a difference this time? This one shows that assets have started to move in lockstep over the past quarter, making diversification more difficult. This usually happens in crashes, so is this a worrying sign? 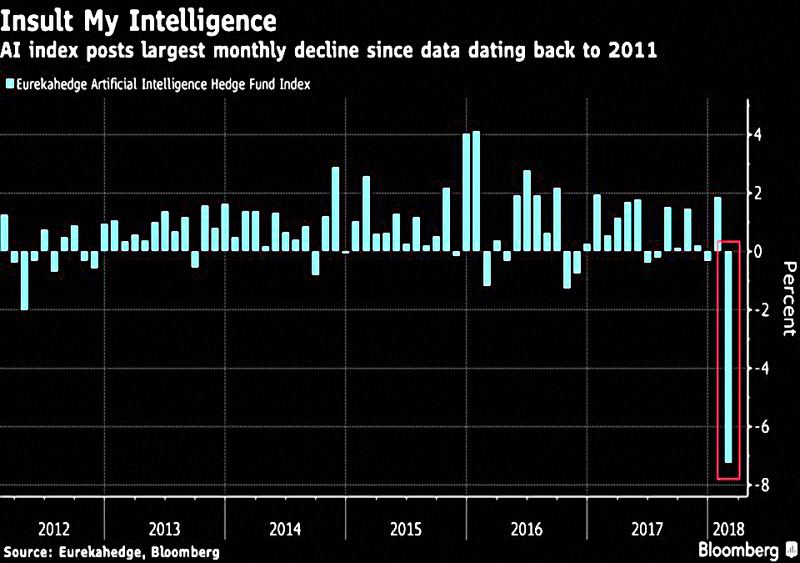 The final chart shows that AI fund had their worst monthly performance on record (since 2011) in February. I didn’t do much better myself.